BEN Hunt is the finals-bound playmaker with a point to prove. A one-point field goal, to be precise. 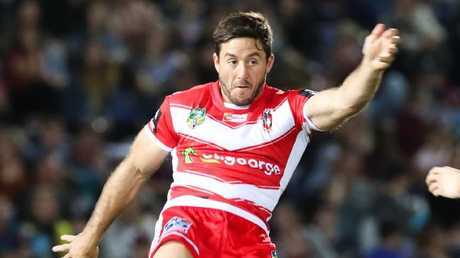 St George Illawarra's $1.2 million marquee player is headed for this year's NRL finals series, having never kicked a field goal in his 204-game career. That is, unless Sunday is his day, in a classic semi-final dress rehearsal for the Dragons against premiership heavyweights Sydney Roosters at Allianz Stadium. Since making his debut in 2013, Hunt has attempted 10 field goals for 10 misses. Fox Sports Stats has also indicated that Hunt has failed to nail a one-pointer during a Test or State of Origin match for Queensland, or during his 2008-09 seasons in the under-20s Holden Cup. It's been more than two years since Hunt's last attempt at field goal - in a 19-18 loss to Wests Tigers in round 12, 2016, while ­playing for Brisbane. Could Hunt’s inability to kick field goals make the difference? AAP Image/Michael Chambers. In contrast, almost every halfback on the verge of featuring in this year's finals series has kicked at least one field goal. Hunt's counterpart today, Cooper Cronk, has kicked 20. Brisbane's Kodi Nikorima (71 games) and rookie Melbourne Storm halfback Jahrome Hughes (20) are the only other two finals-bound halfbacks yet to land a field goal. But given his class, pay packet and almost twice the amount of NRL experience compared to Nikorima and Hughes, it's Hunt's one-point anomaly that will surprise most league fans largely because the 28-year-old's greatest strength is his kicking game. Yet Hunt's field-goal frustration has been highlighted in the past by Broncos coach Wayne Bennett. In 2017, after a one-point extra-time loss to North Queensland, Bennett said Hunt lacked confidence in his field-goal ability. At the ensuing Broncos training session, Hunt's teammates cheered as one as he slotted a one-pointer during a ballwork session. However, Dragons coach Paul McGregor is unfazed by his playmaker's empty field-goal column. McGregor said Hunt was the halfback the Dragons have long been craving and is crucial to the club's return to the finals for the first time in four years. 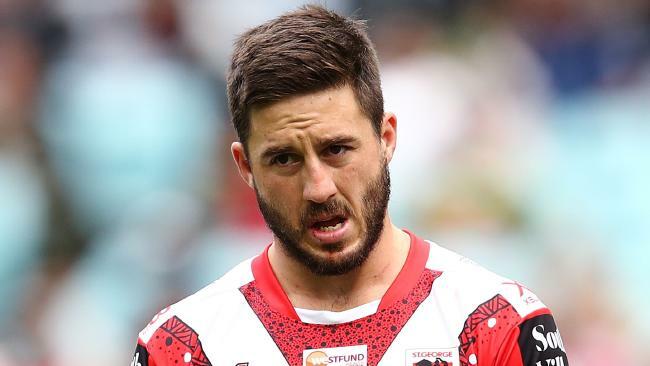 "Ben Hunt can change a game,'' McGregor said. "People find things in players that they don't like but I look for things in players that I do like. "I'm not looking at how many field goals he has kicked. I'm looking at how many tries he's scored in the last 10 minutes in games. "Every player brings something different to a footy team and what Benny has for our footy team is a really good balance with Gareth (Widdop); they complement each other. "When you've got halves that complement each other, you're in a pretty good spot as a team. "That's what Benny has brought to the Dragons. "He's got a good range of kicks and, when he executes them well, he's top shelf. Widdop grew up playing football in the UK, which is why he's adept at kicking with his left and right boot. 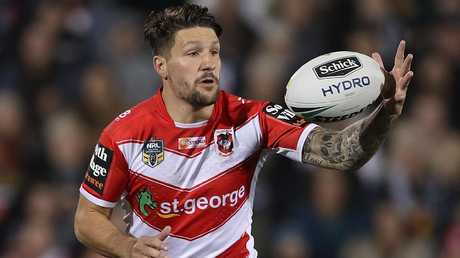 He is easily the Dragons' best field-goal exponent, having landed seven in 181 NRL matches. "As far as worrying about Benny having never kicked one, I'm not worried about that,'' McGregor said. 1) 2013, R21 - BRONCOS V KNIGHTS - Golden Point. - 43m out, centre-field, nice strike under pressure, but just misses to the left. 18-18-all draw. - 19m out, right in front, ample time and pushes it to the wide. Shocker. Won 8-5. - 40m out, 53-seconds remaining in the match, under massive pressure and misses shot to the right. Lost 19-18.